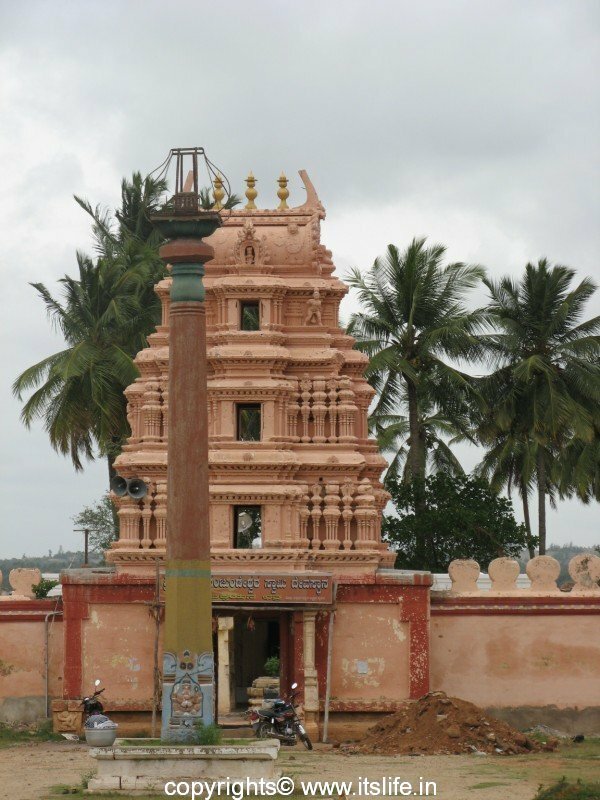 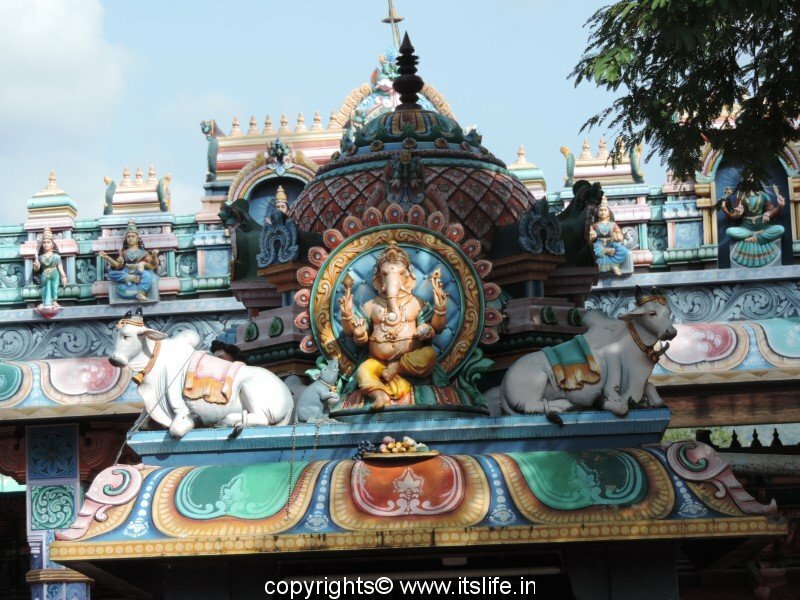 Sri Prasanna Nanjundeshwara Temple is an extremely old temple situated on Kozhikode-Mysore-Kollegal Highway. 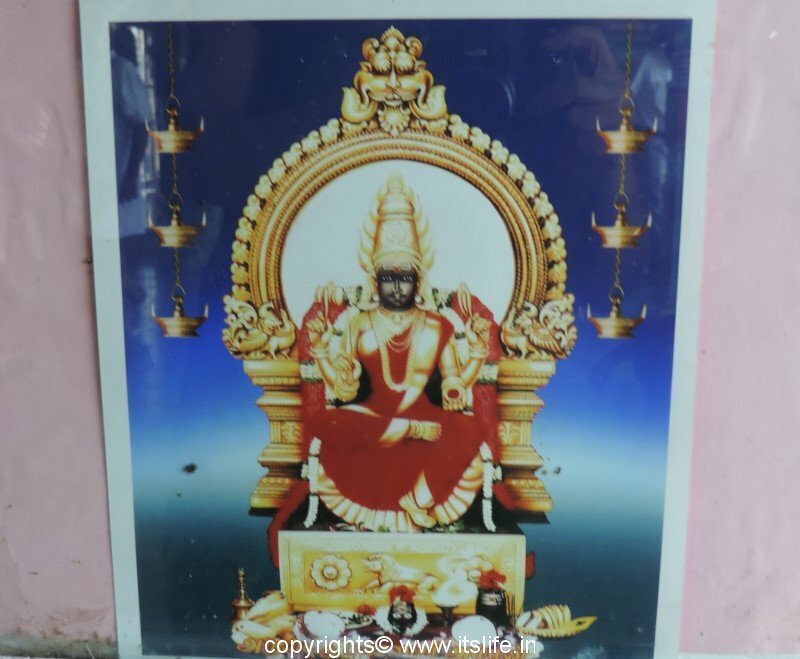 This temple was in ruins and recently is now being renovated by Karnataka Muzrai Department. 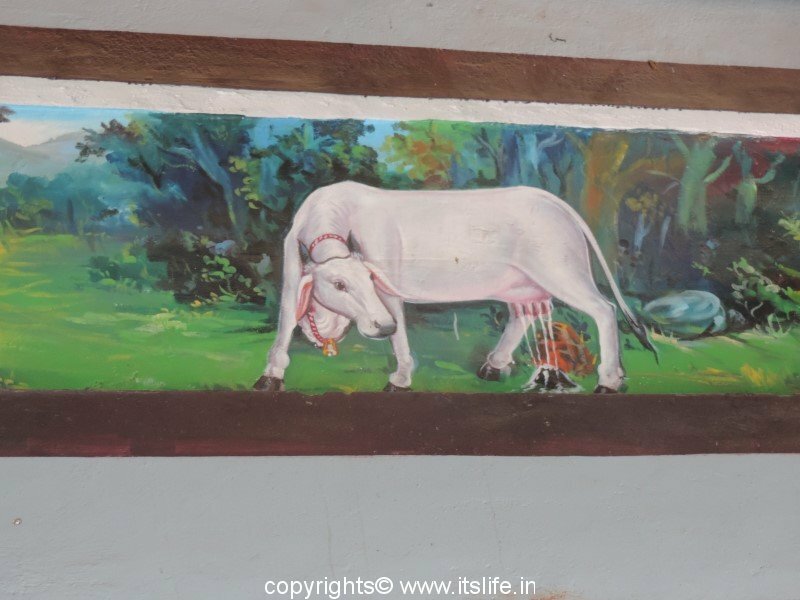 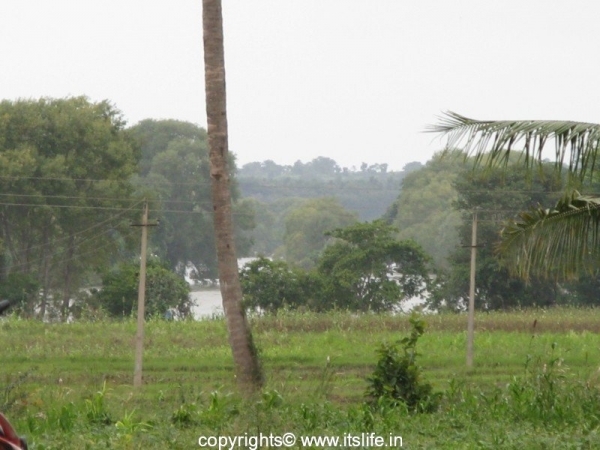 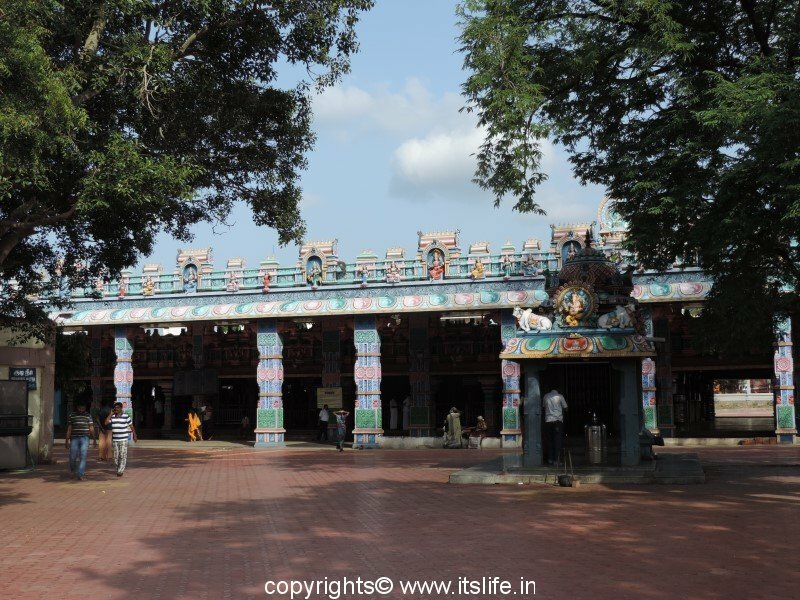 This quiet and unexplored temple on the banks of river Kapila is worth a visit. 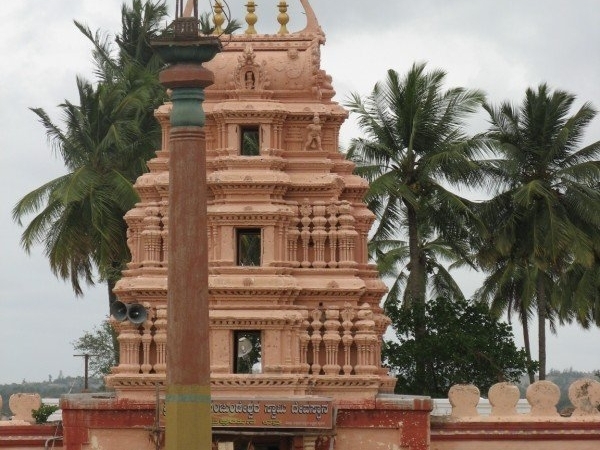 The gopura (tower) of the temple is simple and elegant. 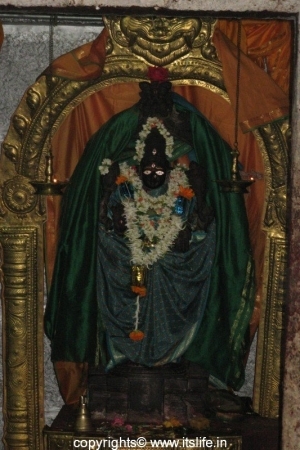 Inside the complex is the usual garuda stamba (flag post). Kapila River flows in full glory behind the temple. 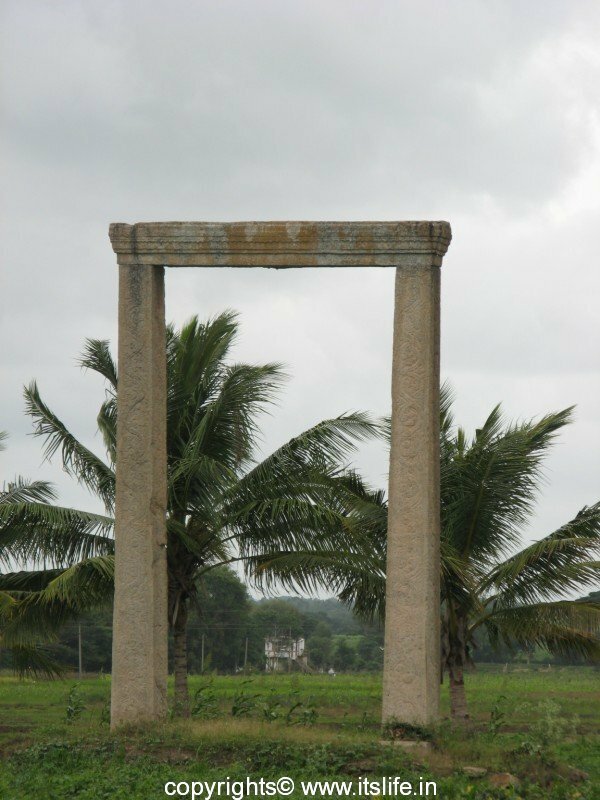 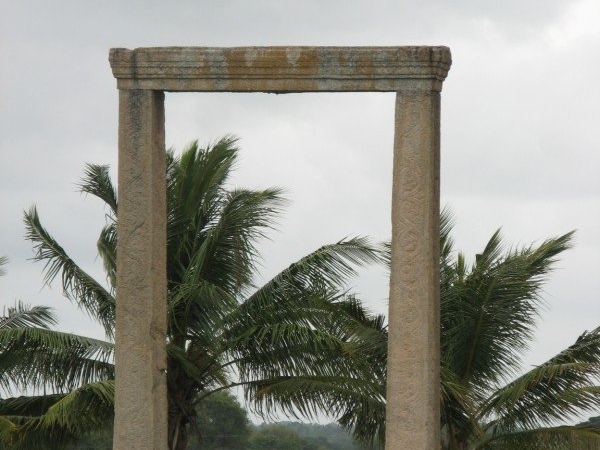 Two stone pillars support a stone beam over it, most probably this was built for a huge balance for thula bhara seva (grains or jaggery equal to the weight of a person is often given to the temple). 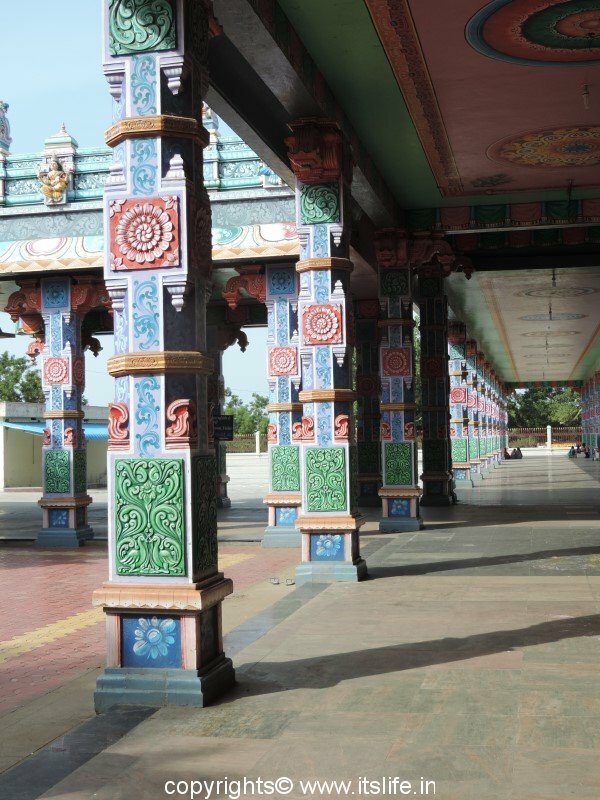 A shelter is built for travelers to rest on the right hand side of the temple. 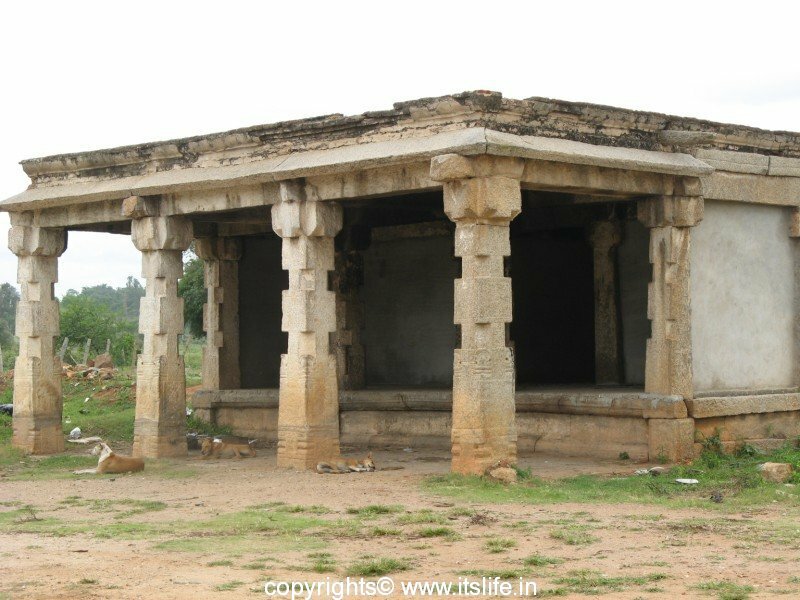 The roof of this structure is supported by stone pillars. 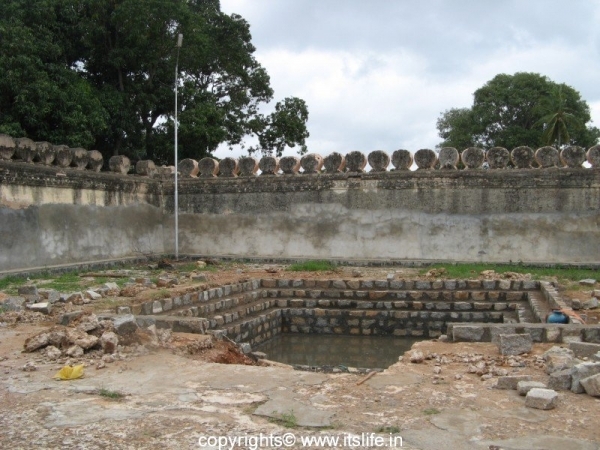 The kalyani (divine pond) is also being rejuvenated. 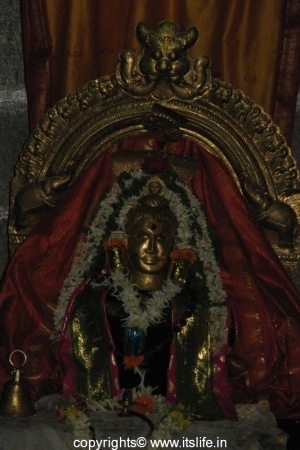 Presiding deity is Lord Shiva. 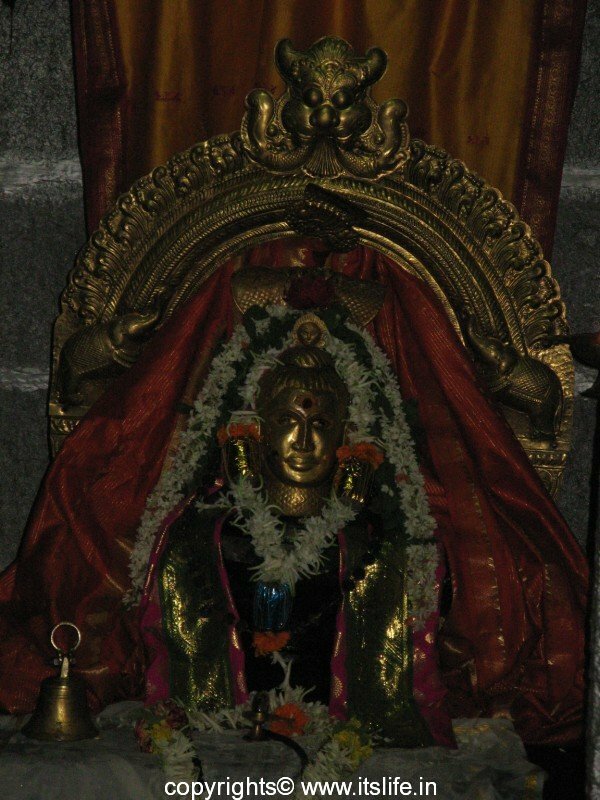 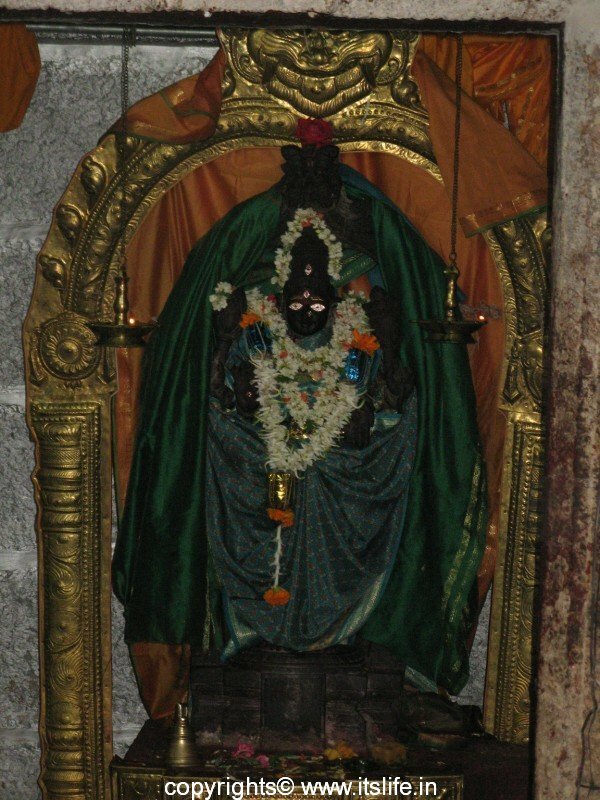 There is a separate shrine for goddess Parvathi. 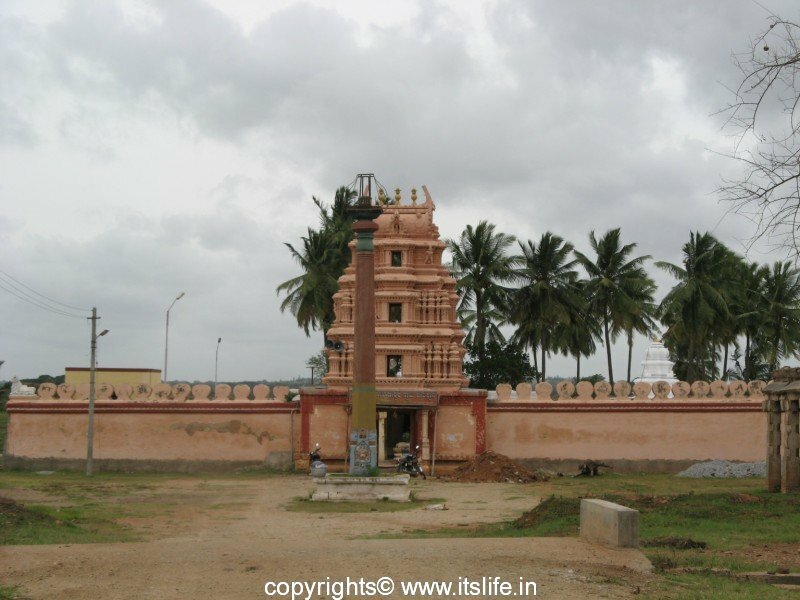 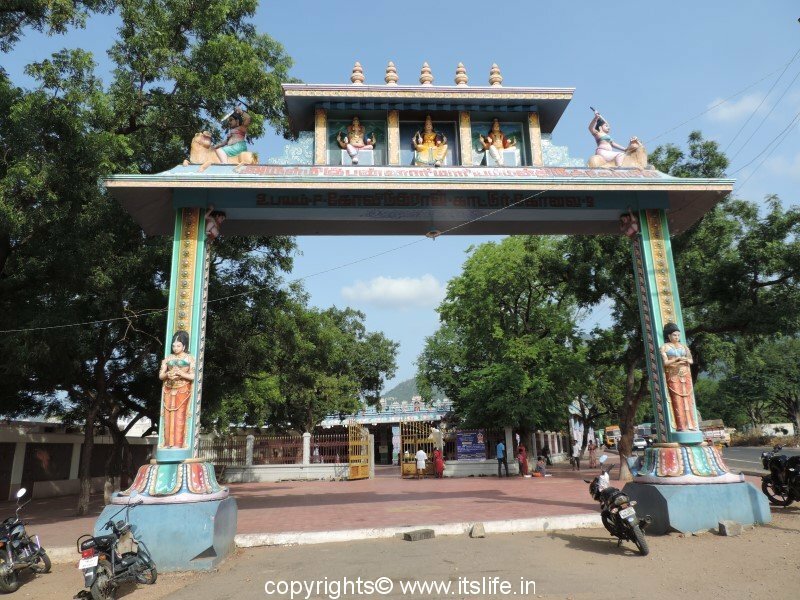 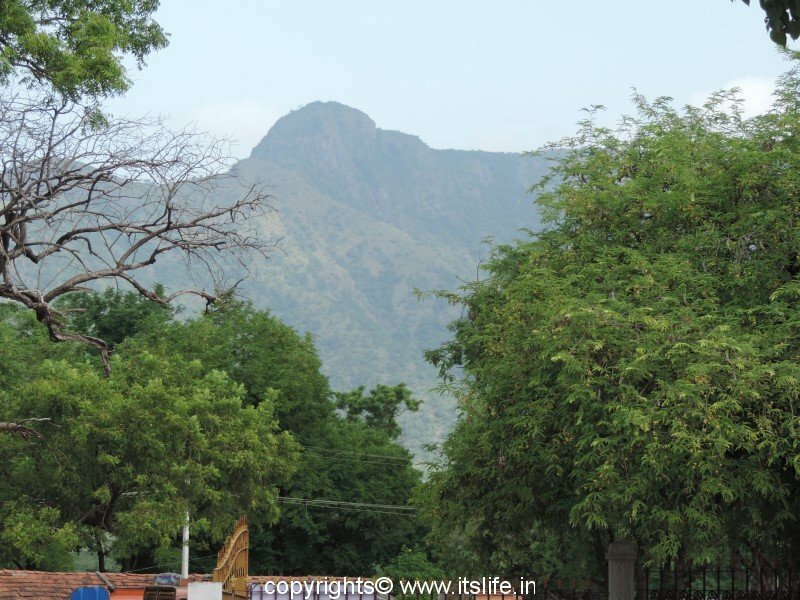 A temple with almost no visitors is a contrast to the Nanjundeshwara temple, at Nanjanagudu.